Faculty service to the university includes membership and leadership on committees at the department, college, and university levels, as well as sponsorship of student organizations. As student organization advisors, communications faculty help students gain hands-on job experience. Committees at the department and college levels address curriculum, research, personnel issues, assessment, and other matters. Consult with your department colleagues and college leaders to learn more about these opportunities for service and to understand the time commitment and type of work involved. 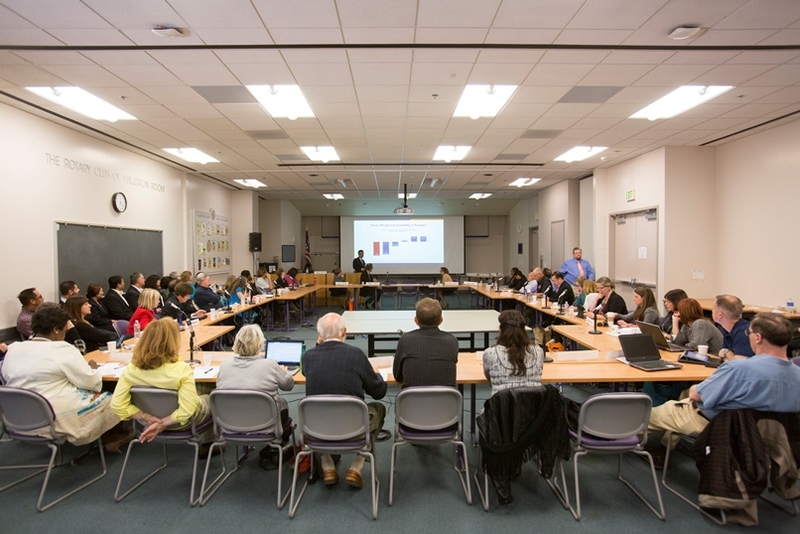 University-level committees include the standing committees and general committees of the CSUF Academic Senate. These committees address a range of curricular, faculty, student, and other issues within a tradition of collegial governance. With terms of two years (standing committees) or three years (general committees), these Senate committees can give you a broad range of experience in helping govern the campus. Learn more about these committees and their functions to find a path of university-level service that aligns with your interests. Then submit the Committee Interest Form each spring to indicate your interest to the CSUF Academic Senate. You may then be contacted by the staff or Executive Committee of the Academic Senate as committee vacancies occur. Other university-level committees and task forces may be formed from time to time. The CSUF Academic Senate holds elections each spring for senate seats that have become vacant. Serving as a senator is an important way to sustain a tradition of collegial governance and contribute faculty perspectives on a wide range of matters impacting the university, its faculty, and its students. Academic Senate members and committee can be found by following this link . University-level service is a strong foundation for service to the CSU System. The CSU Senate includes three seats for members elected from the CSUF campus. 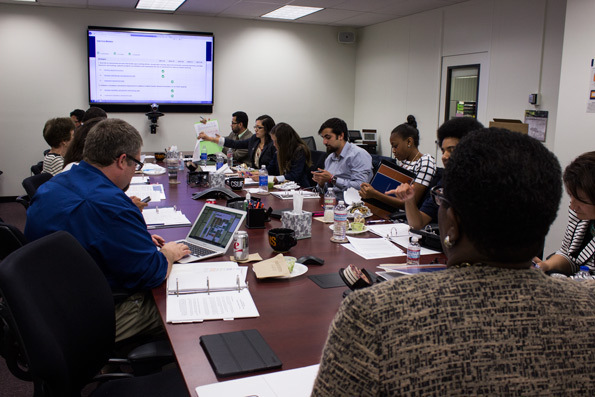 The CSU Academic Senate is the official voice of the faculty in matters of system-wide concern, and it provides significant opportunity for faculty to participate in collegial governance beyond the CSUF campus.